Temperature sensors are used just about everywhere. There are in the homes we live in, the cars we drive, the schools we learn in. They are even in planes, trains and boats. You will also find them in all sorts of electrical appliances and electronic devices. Refrigerators, stoves, hot water tanks as well as computers, GPS devices and battery chargers all have temperature sensors. Today’s digital medical thermometers, which are used in hospitals and millions of homes every day, all have a temperature sensor in them. Today’s oil drills must drill far down into the earth in their search for oil. As they drill down deep into the earth, through rocks and dirt, the temperature of the drill increases. Oil workers worry that the oil drill’s bit will become too hot and break. To prevent that from happening, these oil drill bits often have a temperature sensor built inside of them. When the temperature reaches a dangerous level, that is, a level that could break the drill bit, the sensor sends an electronic signal to the oil workers to stop drilling. Your car contains a radiator. In it is a temperature sensor. The reason it is there is to warn you if the water that circulates in your engine becomes too hot. And that’s because if it does, your engine could break and will require that you purchase a new one. 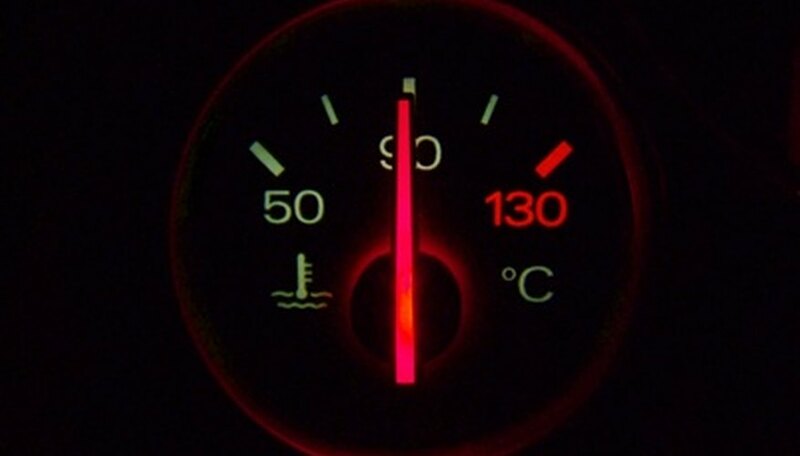 The temperature sensor in your radiator measures the temperature of the radiator to the temperature gauge in your car. As the temperature of the water increases, the temperature sensor creates a larger electrical current to flow. That current flow causes the needle of your temperature gauge to move further to the right. Battery chargers are used to recharge all sorts of batteries, such as car batteries, flashlight batteries and even batteries in your computer. However, battery chargers must be designed so that they don’t overcharge your battery and also so they don’t undercharge your battery. Because the amount of charge a battery can store varies with temperature, the battery charger must know the battery’s temperature to determine when to stop charging and when to begin charging. In these applications, the temperature sensor is used to turn on or turn off the battery charger. For hot air balloons to rise, the temperature of the helium gas that is inside of the balloon must be above a prescribed level. If the temperature of the gas is below that level, the hot air balloon will start to fall. If it is exactly at the prescribed level, it will neither rise nor fall. In order to control the temperature of the helium hot air balloon, and hence to control whether the balloon rises or falls, gas temperature sensors are used to find out the temperature of the helium gas in the hot air balloon. Stansberry, Mark. "Uses for a Temperature Sensor." Sciencing, https://sciencing.com/uses-temperature-sensor-5997997.html. 24 April 2017.